While I was travelling in Java recently on a design exchange, I became very good friends with Tempeh. 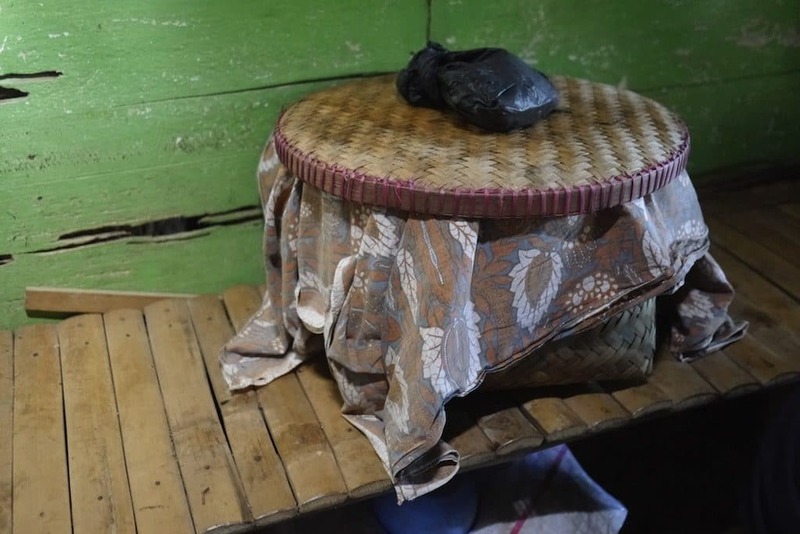 We even learned to make it – village style. 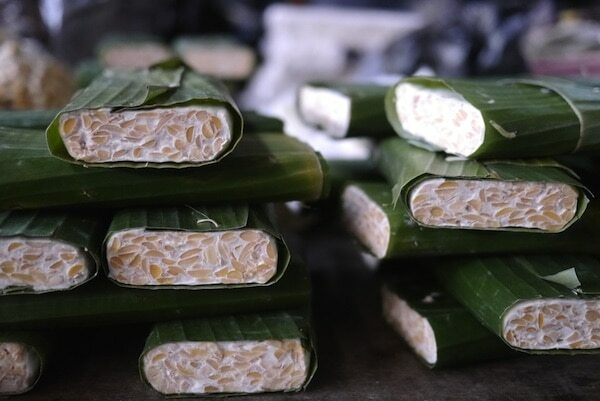 Everywhere we went in Java, tempeh was sold freshly made and wrapped in banana leaf at the markets, or often as a meal option in the small warungs (street cafes) where we ate. Tempeh (Témpé) is, in it’s essence, bean meets mycelium. 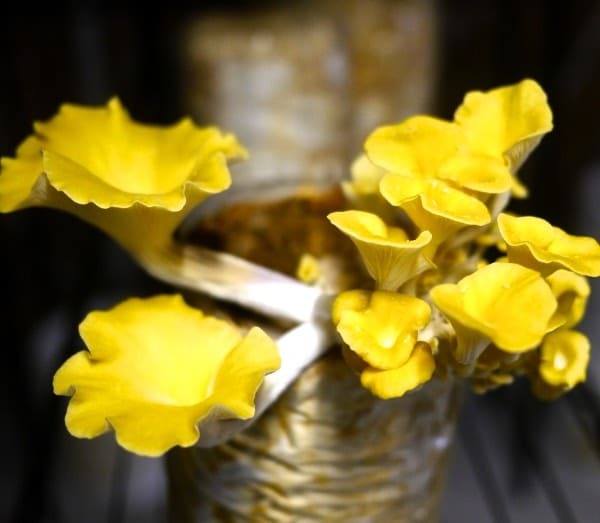 It was discovered accidentally sometime in the 17th century in Java, when certain mycelium colonised soybeans used in the tofu making process. 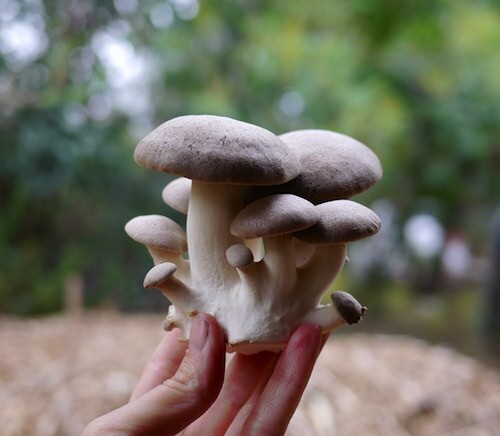 The mycelium in question is Rhizopus oligosporus or Rhizopus oryzae – and is added nowadays to the boiled beans as a commercial powder that contains the spores. 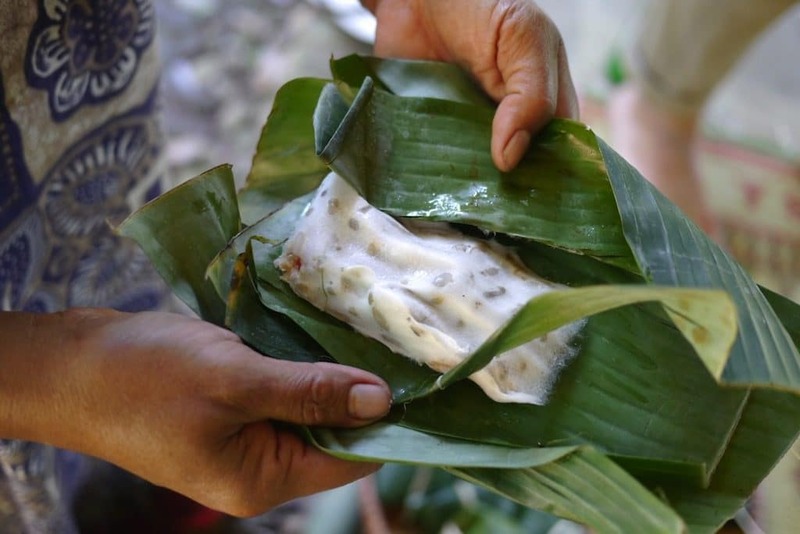 I’m told that you can source this mycelium yourself from under the flower petals and leaves of certain white-flowered hibiscus in java, which is the fungi’s natural habitat. 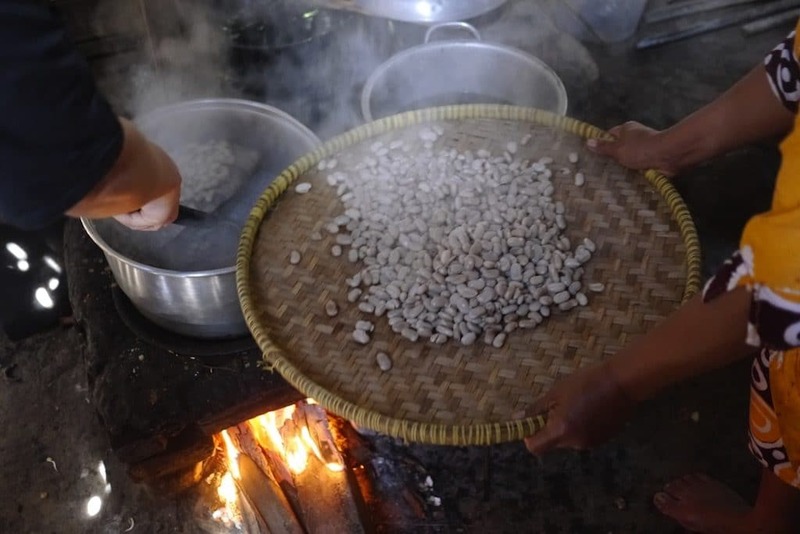 In it’s best form, tempeh is cooked whole beans (soy or otherwise – some grains and seeds work also) glued together by fluffy white mycelium to form a cake. It’s eaten fried, boiled, baked or however you like it. 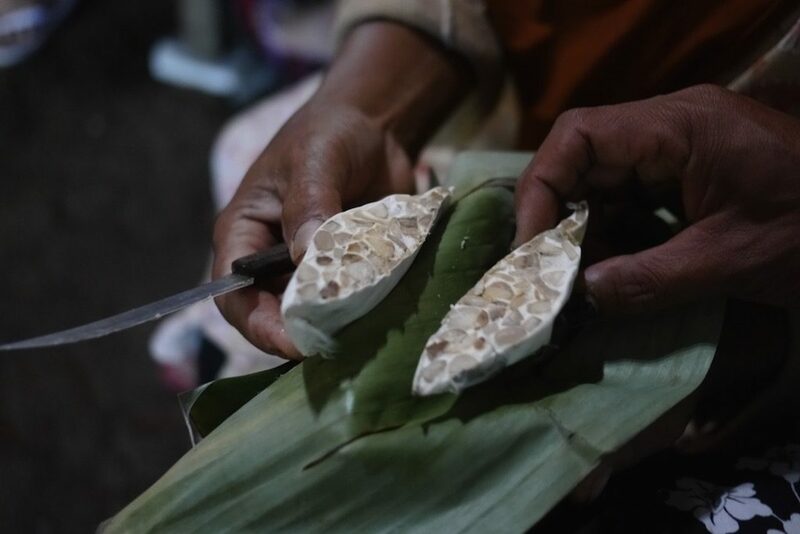 As Tempeh is more of a simple ’whole food’ than tofu is – in the fact that it’s fermented whole beans, rather than processed bean milk, the place in the hearts of many Javanese for tempeh is a special one – it’s been a part of their everyday for many generations here. 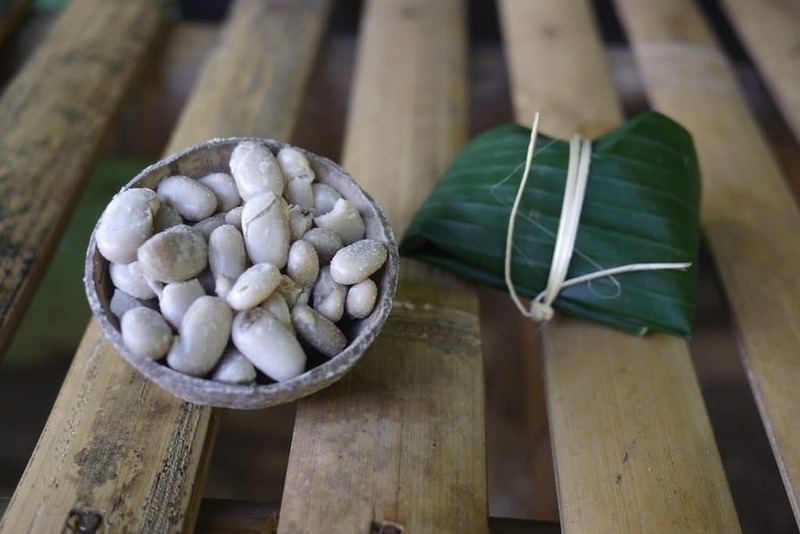 In Kandangan village in Central Java, tempe bunguk used to be a daily food – using locally grown bunguk beans, and made in many households. But imported blocks of tempe from China has slowly crept in and replaced it. 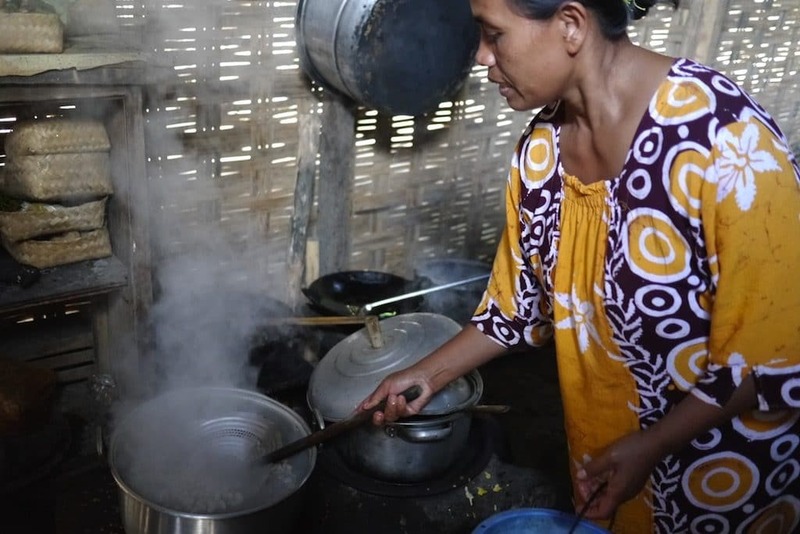 As part of her village food skills mapping (a part of the Spedagi Project), Francisca Callista (Siska) went searching for what used to be eaten here, and for those who could remember how to make it. 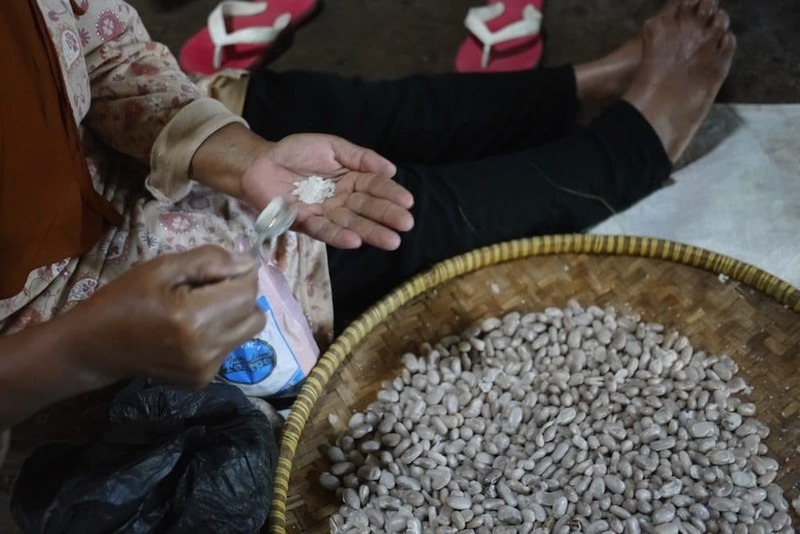 She found Parni, who remembered how to make tempe bunguk from her mother, so they went to the market and purchased 2 kg of dried bunguk beans. The resulting tempe worked, much to everyone’s delight and slight surprise, and sold out within three households. And so more was made. 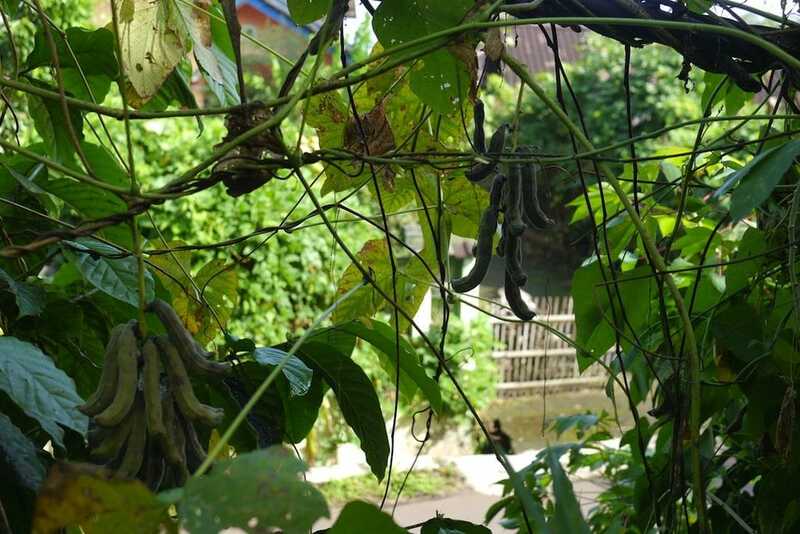 The Bunguk bean (Mucuna pruriens) is also called the velvet bean – it climbs its way up banana trees of whatever is available in Java. 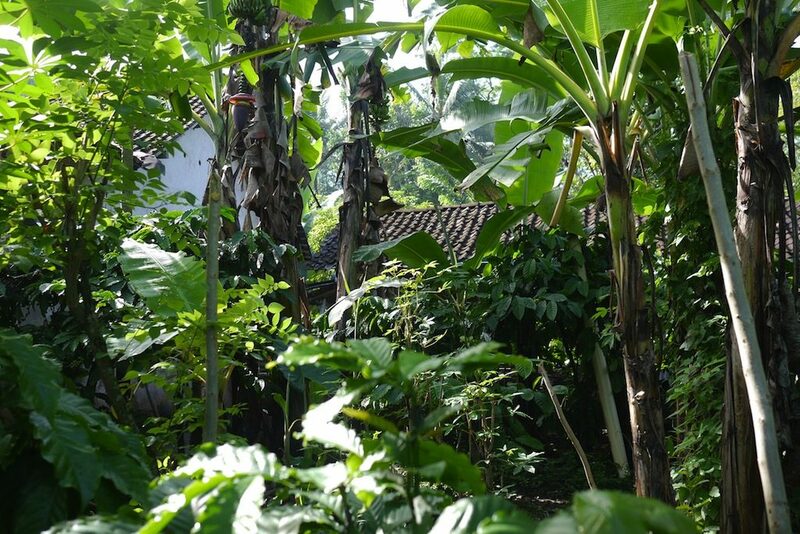 Traditionally it was grown as a nitrogen-fixing, living fertiliser for other crops like papaya, banana, cassava and so on. It’s also highly medicinal, and edible. In recent generations, bunguk has become rare to find – as agricultural techniques change with western influence, and many village farms have significantly less diversity than they did a generation of two ago. For all sorts of reasons. Rare, but not lost. 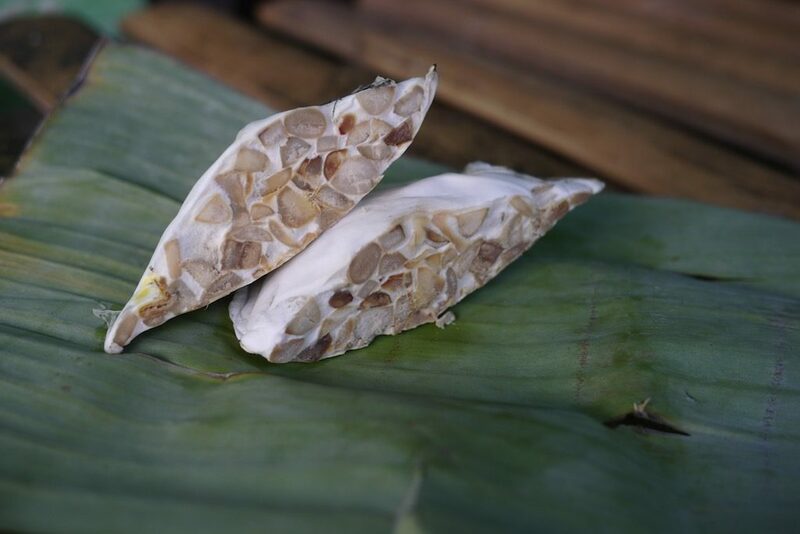 Following word that tempe bunguk was again being made in the village, after 2 months Subiyani, a local farmer, came forward. 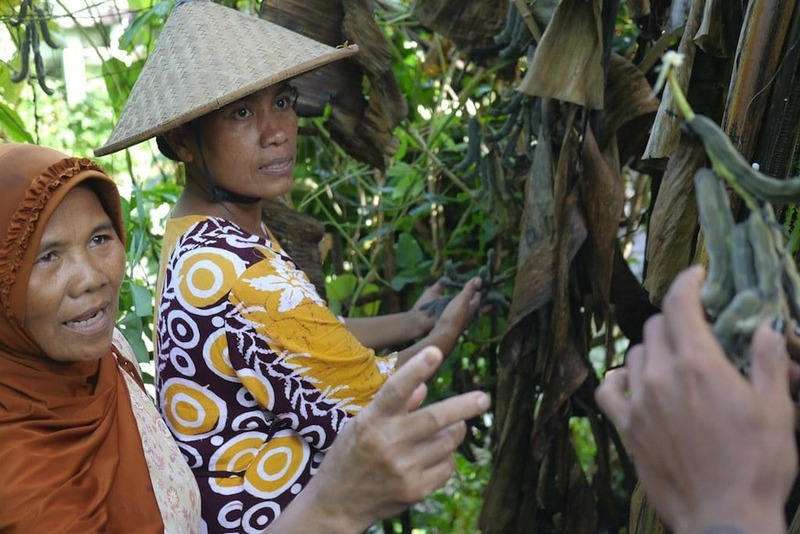 He was able to tell Parni and Siska that he was growing bunguk just at the edge of the village – as a living fertiliser for his banana crops. 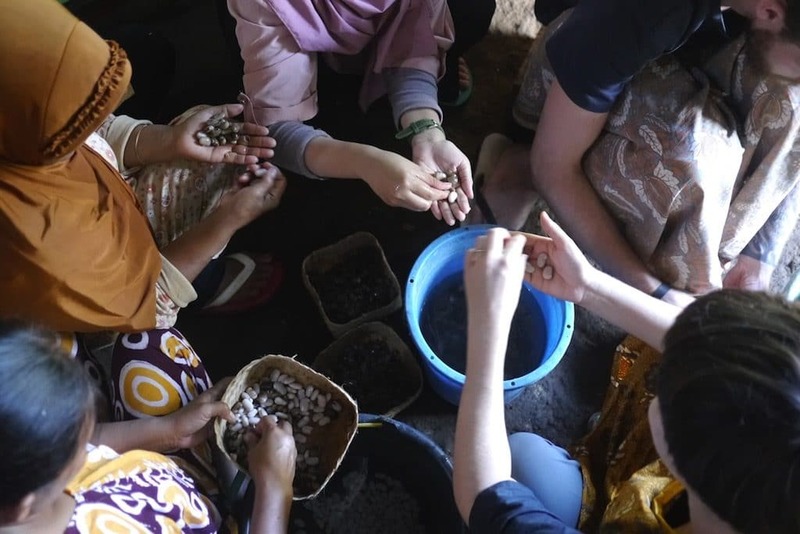 And so 100% Kandangan grown tempe bunguk was born! An incubation chamber of some kind to keep the tempeh at about 30 degrees for about 2 days. Soak the beans for 24 hours in clean water, removing any scum that comes to the surface. After this period, change the water and boil beans until al dente (bunguk beans take 1 hour). 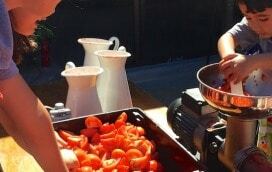 Cool beans and slip off the skins and set aside of other uses. 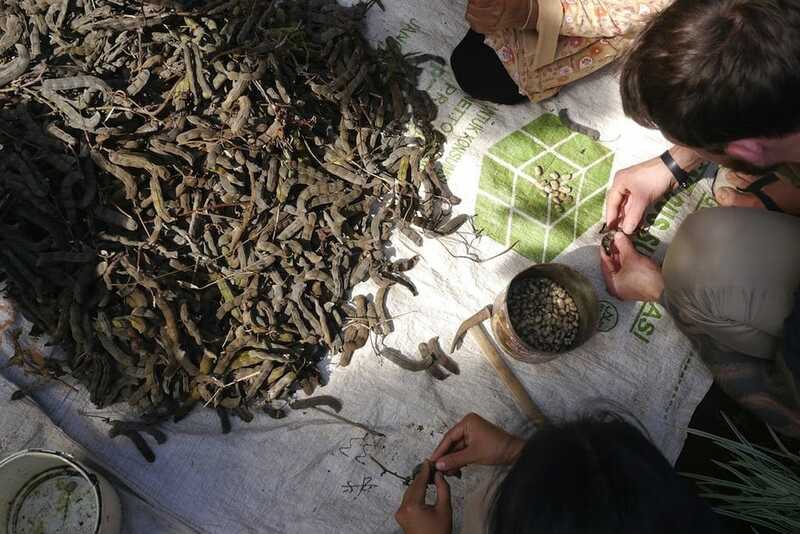 The skins of bunguk can be used as a natural dye (grey to black). 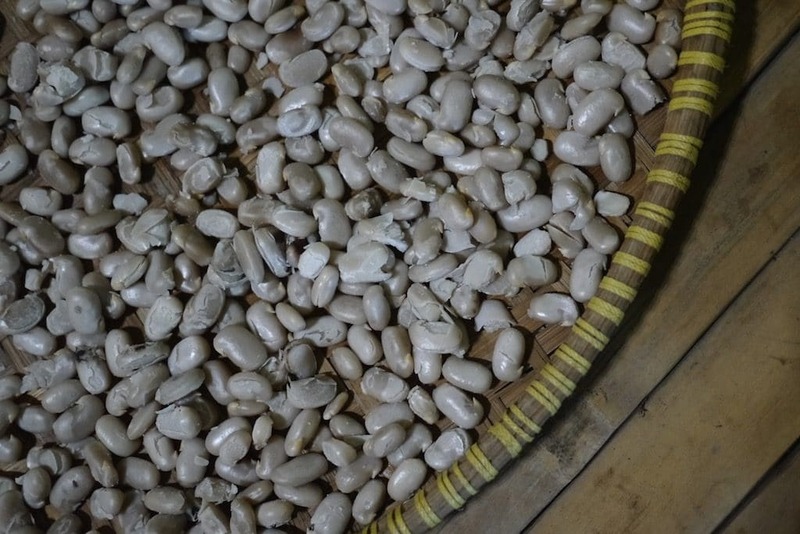 Dry beans and bring them to room temperature. Right! Tempeh time – mix tempeh starter through prepared beans (different starters will specify different amounts – in this process about a tablespoon of starter was added to about 2 kilos of beans). Once the starter is mixed through the beans, it’s a matter of packaging up the mix and incubating it for 2 days. 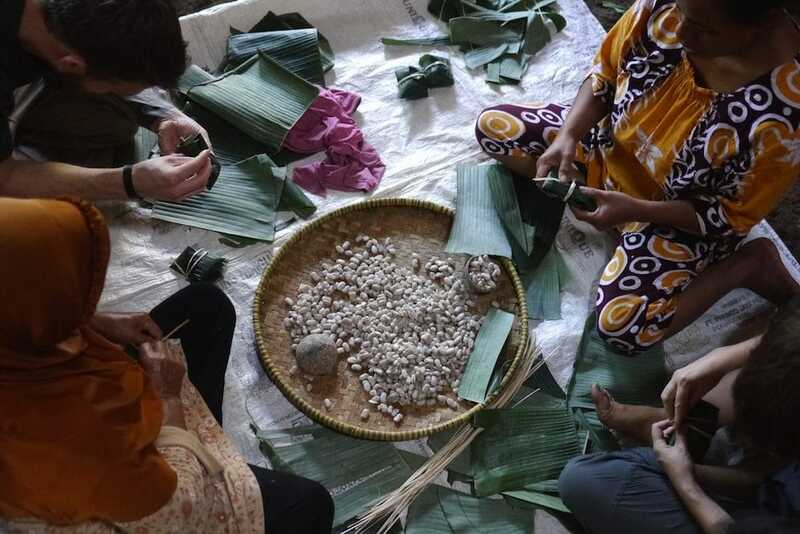 In Kandangan, this part of the process is a scoop of bean mix wrapped up in banana leaf. 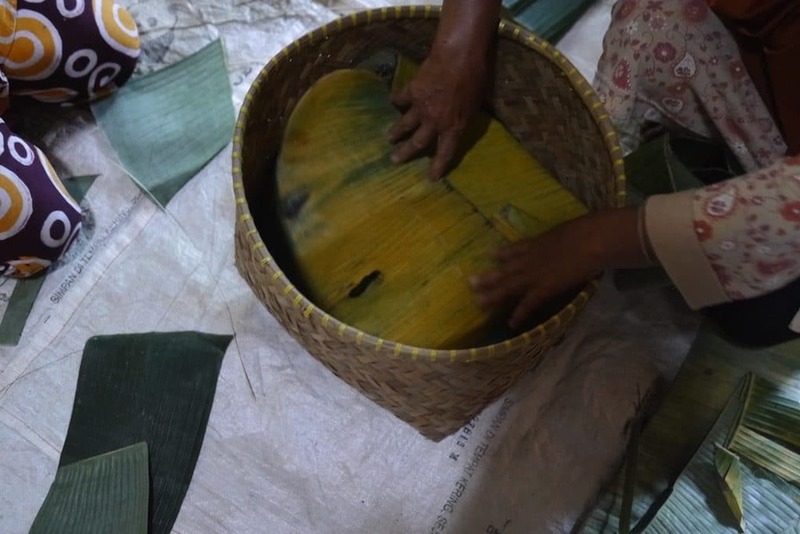 The parcels are then placed in a banana leaf-lined basket, and set in a corner of the loungroom for 2 days. If you do not live in a place with a constant and balmy room temperature of 30 degrees, you will need a heated incubation chamber of some kind for this step. There’s many DIY tempeh incubation chamber how-tos like this one on the interwebs. Go forth. And two days later, it was time to eat! 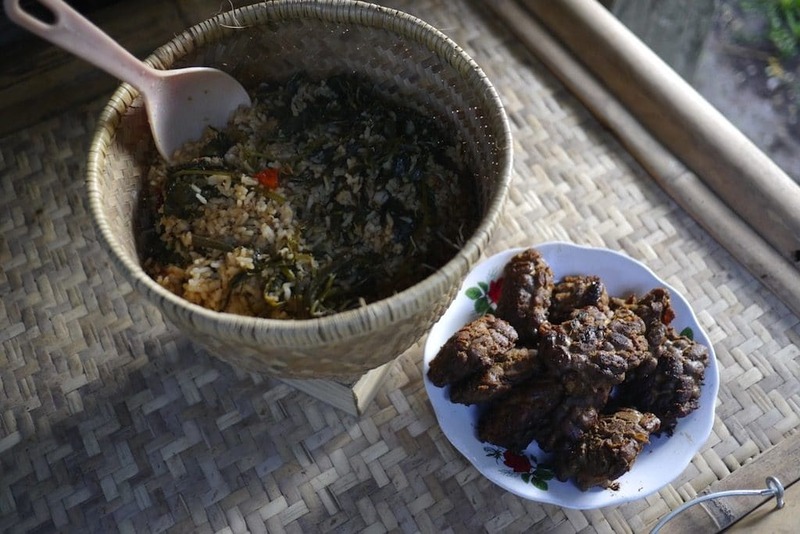 Mujiyah was saying that typically they eat their tempeh bunguk fried, or mashed with eggplant, or boiled. But the possibilities are pretty endless. We had this batch marinated and fried for breakfast. So damn tasty. Two days later - tempeh! Tempeh Bunguk + spinach rice for breakfast. Yum. 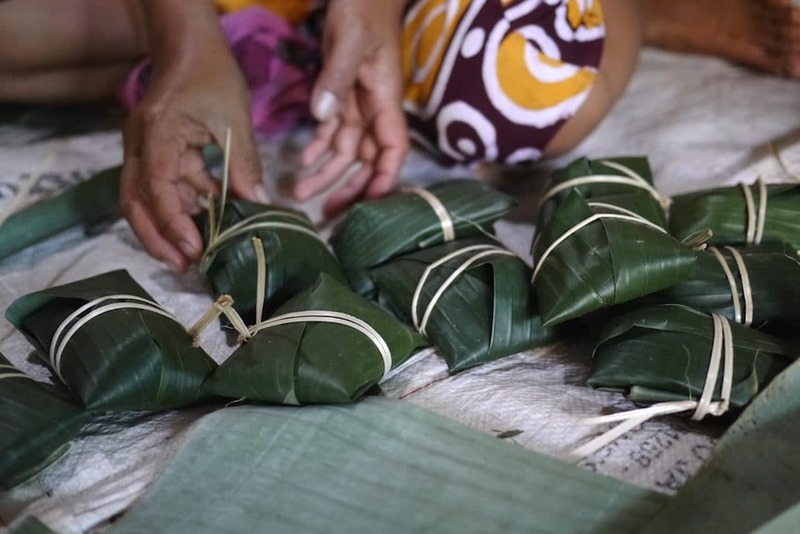 Parni and Mujiya now make about 5kg of tempe bunguk a week, in small banana leaf wrapped parcels. 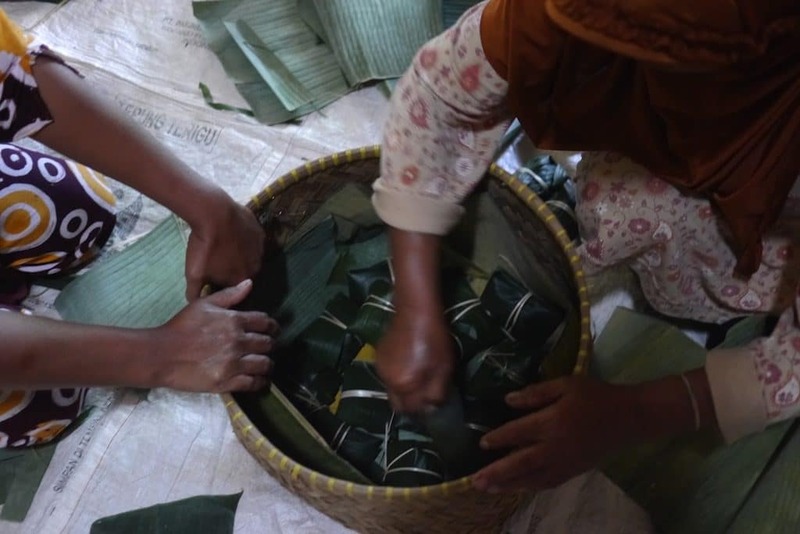 The resulting tempe bunguk is primarily to supply the village, and any extra is sold at Pasar Papringan, the new no-waste market in Kandangan that focusses on traditional foods. 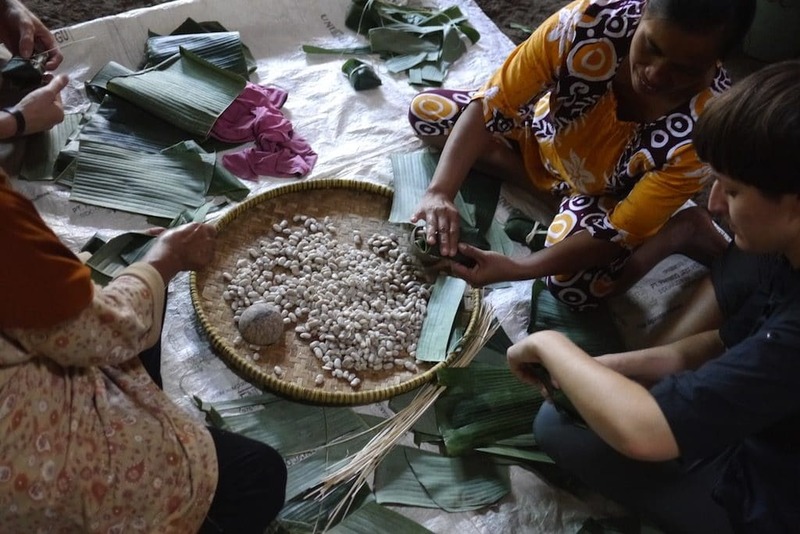 Siska describes the tempe bunguk mini-project as a language – a way to re-establish community connections. 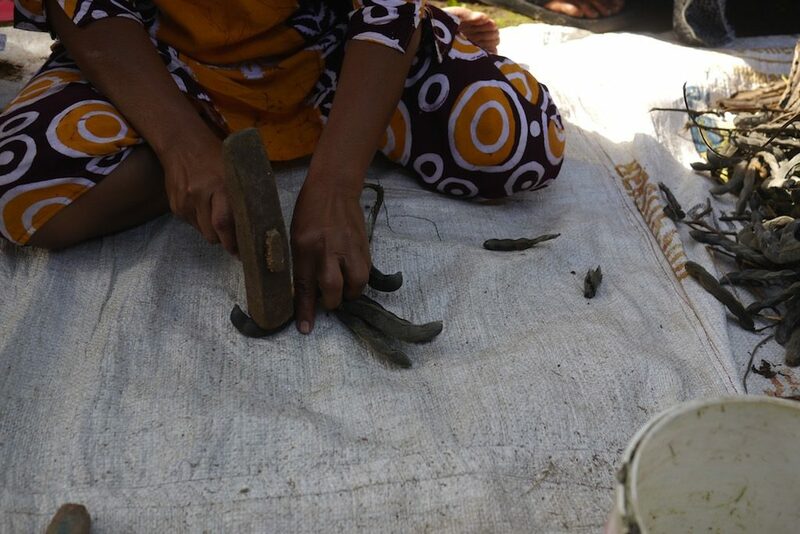 It provides sustainable, environmental, economic and cultural glue for the families involved in it’s creation. And results in lots of tasty tempe bunguk. Kirsten was adventuring in Java as part of the IndoAustDesignFutures project. 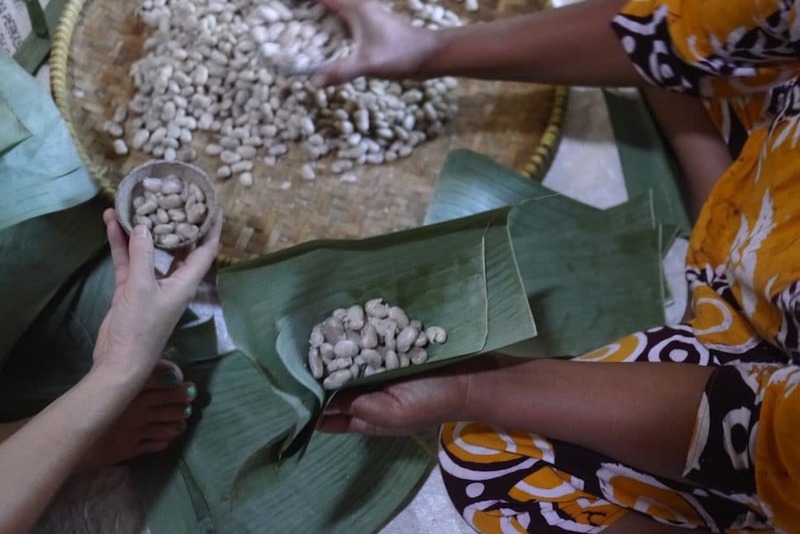 Many thanks to Siska for her help on the témpé enterprise backstory, and to Ba Mujiya, Ba Parni all at the Spedagi Project for hosting and teaching us the ways of témpé! 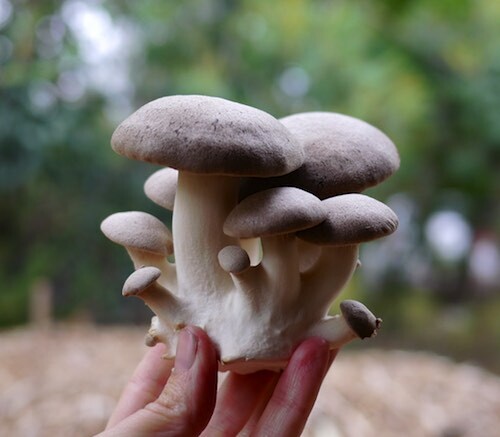 At Melliodora, the goat forage system is designed to support this . . 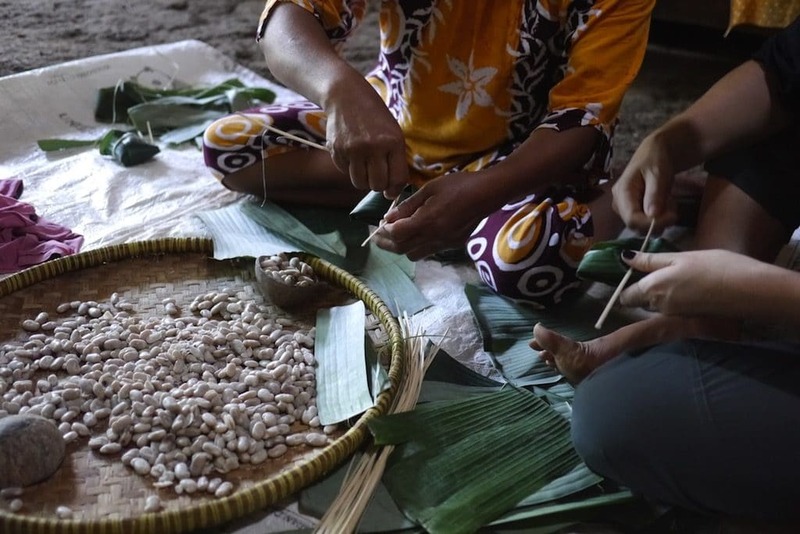 If you forage just one thing from the wilds (or your backyard) ea . .
We were in Indonesia back in the late 90’s for the first internation tempeh conference that we were invited to attend since we were producing Betsy’s Tempeh in Michigan and made it on stainless steel trays rather that the regular plastic bags. The government of Indonesia was very intersted in our process so we were invited to make a presentation at that conference. During our stay we visited a local tempeh maker and documented it with slides. Our website shows our easy method for making tempeh at home. Are you referring to the TempehSure project? Or just our website makethebesttempeh.org? You can email me at:[email protected] and we can chat. That’s just the best story. I love the project being described as a language. excellent stuff! 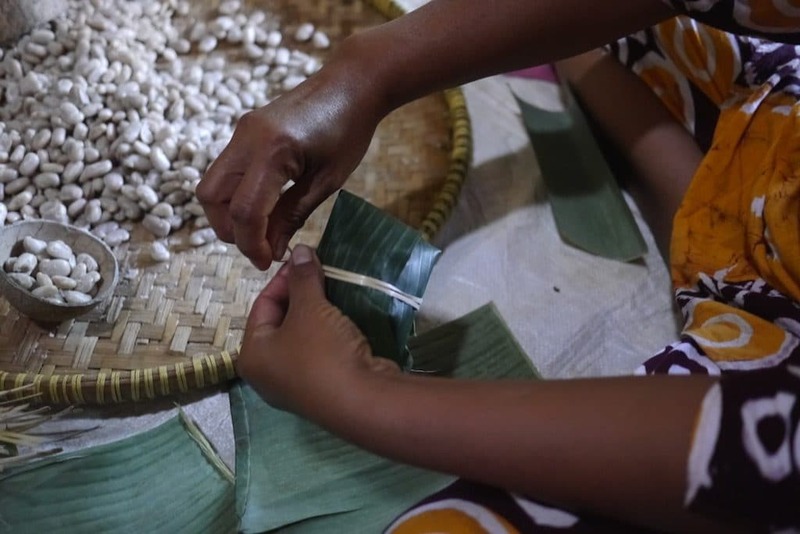 great to see a community project taking people back to the better traditional ways, where they continue to benefit! well done…. I was intrigued to realise that tempeh could be made from other beans as I had assumed there was somehow a symbiotic relationship between the soybean and tempeh fungi. 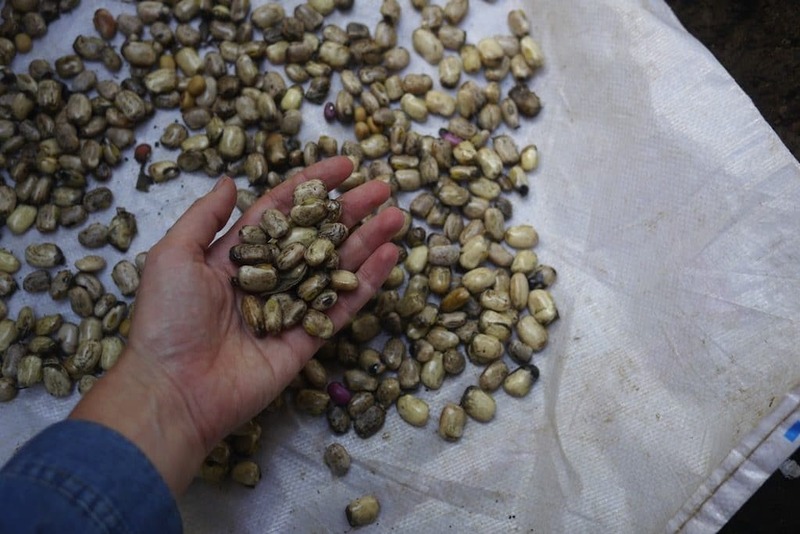 This opens up the possibility of tempeh being made with beans from other climate zones like broad beans. It also gives people, like me, who can’t eat soy the possibility of eating this wonderful fermented food. 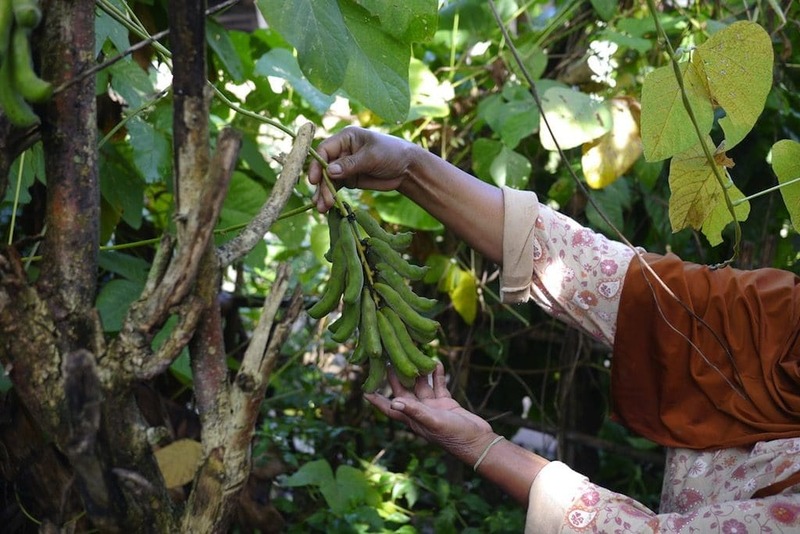 On a botanical note, velvet beans are truly tropical so only possible in far north QLD, far north WA and NT. 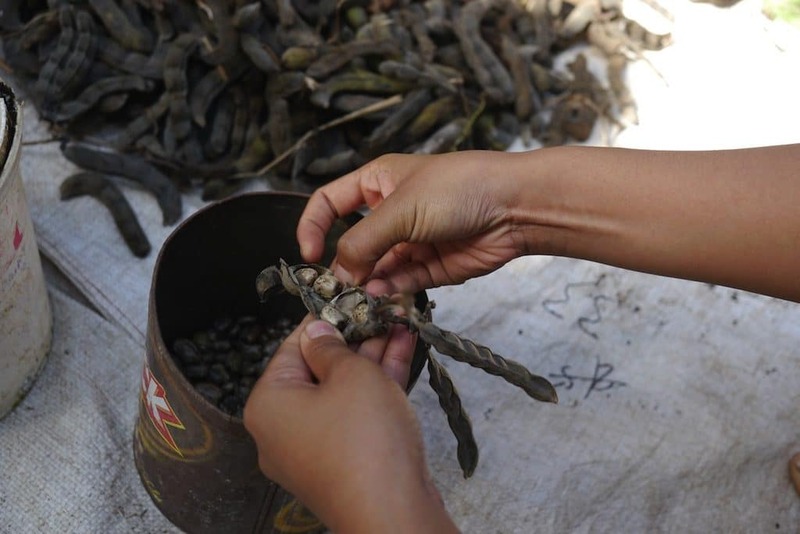 They are also famous for their itchy properties (used to make itching powder) and need work to bring them into the acceptable digestible range. Soybeans can be grown over a wide area and are hardy and productive so worth considering to grow your own.